I’m happy to interview you; I like your voice so much! Let’s begin by the beginning. I think you’re from North Carolina? Yes, Lake James, North Carolina. The South had a bad reputation with the racial segregation. Did this problem still exist in North Carolina when you were young and, more precisely, did you listen to black artists through the radio or in concert? Yes, racial discrimination still existed but we did not promote that in our music. Many times there was confusion about the confederate flag we used, but it was to represent our southern heritage. I listened to all the Motown and Memphis artist; Marvin Gaye, Temptations, Al Green Ray Charles, Aretha Franklin, and Otis Redding. Were some of these artists that influenced you? Al Green, Ray Charles, Otis Redding influenced my singing style, but I can only hope to have the soul in my voice they sing with. I want to incorporate more from their style into my music. Who were your others influences? How did you begin to sing and play guitar, in your youth? What was your story before the Copperhead era? I started writing songs in Junior High and High school first trying to learn how to play all the classic rock songs I could learn, I played football as well in school which helped me to learn more discipline and to be more aggressive over my goals. I met John Byrd in high school 11th grade and we started the band which was called “The Past” because the name represented the classic rock of the past which we played. 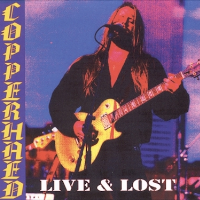 We met manager Dirk Peterson who suggested to come up with a better name for the band to help the band be accepted as an original band as we started writing our own music, so we came up with the name “Copperhead” and went in the studio to record our music. From where were the musicians and how did you meet? We all graduated from high school in North Carolina and we started practicing many different places but got kicked out of many of them for being to loud” ha, ha, ha. What were the main influences of the band and the musicians? Same classic rock acts Led Zeppelin, Pink Floyd, Marshall Tucker, etc. What are the main developments of the life of the band before your Mercury record? We started doing showcases with our attorney Charlie Phillips out of Atlanta, our manager called Atco Records in New York and we hooked up with Derek Oliver who connected us with Ely Bail in Memphis who brought the band there to record a 4 song demo to submit to Fred Davis music attorney; ” son of “Clive Davis”. Did you record something before this record for Mercury? Yes it was the 4 song demo that knocked their socks off. How did you contract with Mercury? Fred Davis and Charlie Phillips an attorney from Atlanta negotiated an 8 album deal. How occurred that the legendary Tom Dowd produced your Mercury record? Could you tell us about the record sessions? Jon Byrd was the lead guitarist but, both of you are credited on slide. How was the repartition of the slide playing? Some of the slide was cut live and Jon Byrd played most of the slide overdubbed in the studio. I played slide on “My Tear to Dry”. Didn’t you play any guitar solos on disc or in concert? Yes, I played in the studio, but I played more when performing “Live”…. I’m looking at the booklet and I see that Brad Durden, the keyboard player, is credited too on lead vocals. What did he sing? 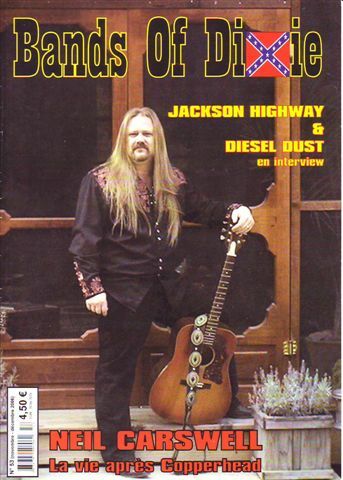 Brad sang with me “Highway” trading vocals; I thought he was a great singer and needed to do more with the group… I got the idea to do a duo vocal from the song of Lynyrd Skynyrd “You Got that Right”, and told Tom Dowd I wanted a song like that on the Copperhead record. You wrote all the lyrics and the music was composed by you, alone sometimes, or with others sometimes. How were the songs created? I wrote the majority and sometime collaborated with John Byrd, but most was my writing. I did co-write with Brad Durden, Eric Suttlymer, and Tony Hawkins. I wrote about my childhood experiences lost relationships, and lost relatives, living on the road, “rock & roll you know”. Were they written before the record sessions or during these sessions? What are you preferred songs? A thing that I like very much on the disc is the guitar solo on “Where Will I Be”. Do you remember how Jon Byrd created it? It was one of the earliest songs we had written together and he really worked hard to find a melodic solo which I really loved what he came up with for the song. If I’m not wrong, the studio tracks of “Live & Lost” were from the same sessions of the Mercury CD. How many songs did you record? No, all the studio recordings where recorded at Southern Tracks, and The Tree in Atlanta as well as the mobile unit at clubs and rehearsals…. On “Live and Lost”, released in 2002, there are four live versions of songs that were on the Mercury dice. Did you play on stage all the songs of your disc? Did you play some covers? Maybe some of your songs not recorded? Why didn’t you release a whole live Album? Could you tell us about the life on the road and the shows? With which bands did Copperhead share the stage with? We opened for Lynyrd Skynyrd, Blackfoot, Molly Hatchet, 38 Special and Foreigner… Kentucky Headhunters and 38 Special is who we worked with most of the time. 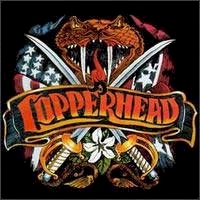 When and why Copperhead disbanded? We broke up in 1995 because I was going through some spiritual soul searching and the band didn’t understand and were becoming jealous about all the attention I was receiving for being the lead singer and songwriter, I went to the crossroads … the band wanted to go a different direction than where I wanted to go, so it was time to stop fighting them and myself. Are you still in touch with the Copperhead’s musicians? Is there a chance of a reunion of Copperhead? No not at this time, but I’m open if all the members were in agreement to do something like this in the future. What did you do after Copperhead? 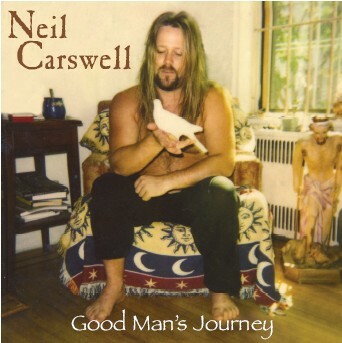 Your solo album, “Good Man’s Journey”, is released this year but the songs are from different sessions. Were they created and recorded at the same period? When? Yes some of these songs were written and recorded a few years back and some here in Nashville after I moved here earlier this year. Your voice, with Copperhead, was strong and good but on this new disc, it’s more sonorous and beautiful, it’s incredible. How occurred this maturation? Did you work it on? How occurred that Johnny Neel and Chris Anderson play on most of the songs? How did you meet them? I was working with Travis Tritt’s rhythm section and they introduced me to Johnny Neel and then Johnny introduced me to Chris Anderson. We worked on Ruby Jane, Glasses of Wine, and Good Man’s Journey and I thought this would be a great team to work with on my solo projects. Could you tell us something about the others musicians? I met Barry Goudreau through a friend and knew he was the lead guitarist of Boston and asked to do some recording with him — Cane Preacher features his classic lead guitar sound. He also will be featured in my upcoming project for 2008. Stu Kimble of the Bob Dylan Band I met after the break up of Copperhead and we wrote the song Righteous Side a song about the break up of Copperhead. Stu is working with me on my solo projects. 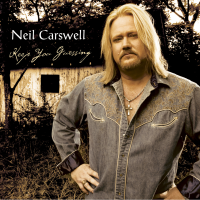 The beginning of the disc is more rock and the end more country and sweet. Is it on intentional evolution? Yes it is somewhat intentional; I’m discovering my own sound and solo career with this recording. What are the main characteristics of the making of this album? Are you satisfied with the sales and the critics? Have you some radio airplays? Do you sell mainly in North Carolina, in the rest of US or in Europe? We are selling well in Europe and USA…. I suppose do you still play concerts. How is composed your band? I am preparing a new line up of musicians and doing some solo performances. Do you tour after this disc to present it? Where? Is there a chance you come in Europe? What are now the next projects? In the booklet, you thank God. Is the religion important for you? Do you play Christian music too? I know that France hasn’t a good reputation in the USA after the war in Iraq. Is it still the same situation and, you, what do you mean about us, the French people? I feel that the French people support the fight against terrorists, but I don’t really know what the heart of the French people feel about Iraq they only hear and follow what their government decides, much like here in the USA. I’ve never been to France so I really don’t know the French people. What is for you the Southern rock? We don’t know too much bands of North Carolina. Could you give us some informations about this? My last question is: what are your favorites Southern rock albums?